Thursday, Feb 7, 2019, 4 – 5 p.m. This seminar starts with an introduction to direct and indirect power concepts in switched-mode power converters, with insights leading to efficiency improvement approaches based on converter topologies, soft-switching techniques, and the use of wide bandgap (SiC or GaN) power semiconductor devices. It is shown how more complex converter topologies allow for more efficient indirect power processing, leading to efficiency and power density gains, as well as application-specific system-level benefits. Challenges around complex converter configurations include more complex controls, and reliability concerns associated with increased numbers of power semiconductor components. Addressing these challenges requires innovations in modeling and control, circuit integration, and packaging techniques. Examples discussed include high-density, high efficiency SiC-based composite dc-dc converters for electric vehicle applications, modular grid-tied ac-dc converters, hybrid dc-dc converters, and very high frequency converters based on custom GaN power integrated circuits. Dragan Maksimovic received B.S. and M.S. degrees from the University of Belgrade in Serbia, and his Ph.D. degree from the California Institute of Technology, Pasadena, in 1989. Since 1992, he has been with the University of Colorado at Boulder, where he is currently Charles V. Schelke Professor and Director of the Colorado Power Electronics Center (CoPEC). He has co-authored over 300 papers, and textbooks Fundamentals of Power Electronics (2nd edition), and Digital Control of High-Frequency Switched-Mode Power Converters. 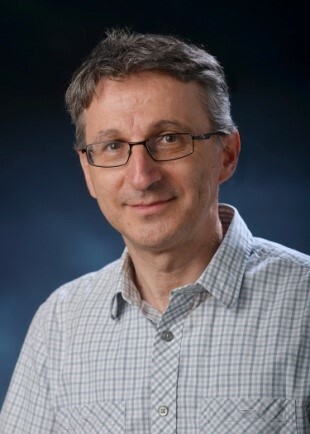 Prof. Maksimovic is a Fellow of the IEEE, and a recipient of the IEEE PELS Modeling and Control Technical Achievement Award. His current research interests include power electronics for renewable energy sources and energy efficiency, high frequency power conversion using wide bandgap semiconductors, digital control of high-frequency switched-mode power converters, as well as integrated circuits for power management applications.